We’ve talked this over and over, but now it honestly seems like something good is happening in Zimbabwe. I know it’s been a minute since we did a politics post, but this needed to be said. 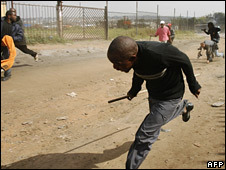 Zimbabwe is one of the worst economic situations in history. It’s inflation rate is so high that most retailers don’t even take the local currency anymore. In fact, Zimbabwe recently cut 12 zeros off the end of their currency just to make it reasonable. Months ago, when it seemed clear that the opposition leader Morgan Tsvangrai had finally beaten Robert Mugabe, there was quite an uprising. Eventually, Tsvangrai pulled out of the Presidental election run-off because he felt his supporters were getting attacked by government militas and thugs. Things seemed hopeless. Now, for quite a few months there have been talks of a power-sharing agreement between Mugabe and Tsvangrai in order to allow the country to move forward. Things kept falling apart because Mugabe didn’t want to concede control of some of the most important ministries, including the Home Ministry which controls the security services. But finally things are better. Morgan Tsvangrai has just been sworn in as the new Prime Minister. 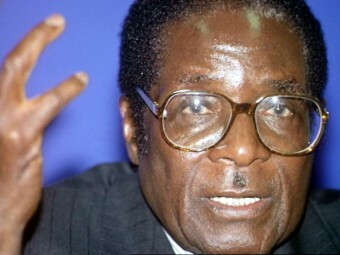 Which means he actually does share authority with Mugabe. As well, and perhaps most importantly for Zimbabwe, MDC secretary-general Tendai Biti is now in charge of the Finance ministry. This is tremendous news because the opposition now controls the ministry that may actually effect some change. Perhaps there is some hope for the country yet. As further emphasis, the two Deputy Prime Ministers are both MDC members, though one is from a breakaway faction. The most worrisome situation is that the Zanu-PF and MDC are sharing control of the Home ministry. There is little hope that an arrangement like this will work, but so far it’s the best deal we’ve seen. This is not a government of unity, but of coercion and co-option. By joining it, the Movement for Democratic Change (MDC), which Mr Tsvangirai has led for ten years at great personal risk, is in danger of legitimising the very tyranny it sought to end. MDC officials are to be installed in 13 ministries, but none will give Mr Tsvangirai the power to enforce as well as write new laws, let alone rebuild a country brought to its knees by violence, disease and artificial famine. There is some truth to these statements. 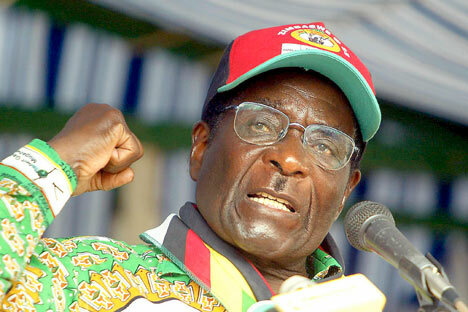 It is true that there is a risk of legitimizing Mugabe’s government. There is, however, hope. If the MDC proves deft at political maneuvering they may persuade enough frightened voters out there to truly vote out Mugabe. However, things are already off to a rough start. 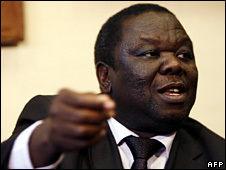 Tsvangirai, as part of the deal, demanded that hundreds of political prisoners be released before he took his oath of office. Mugabe ignored him. Let’s just hope Tsvangirai won’t let himself be ignored.